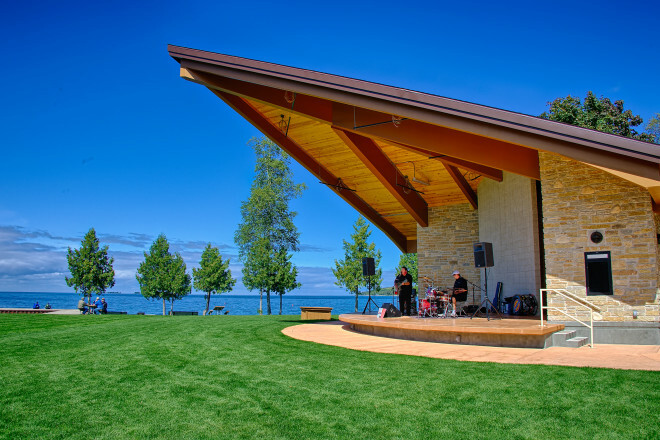 The Wisconsin Supreme Court reversed part of Door County Circuit Court Judge D. Todd Ehlers’ decision in a lawsuit over concerts held at the Sister Bay performance pavilion. In the lawsuit filed July 8, 2016, the Yacht Club at Sister Bay alleged that concerts held at the pavilion constituted a nuisance. The legal question did not determine whether the concerts are a nuisance, but whether the Yacht Club waited too long to file a complaint. Under state law, a complaint must be filed within 120 days of a performance. Ehlers and the Court of Appeals cited this law in their decision to dismiss the Yacht Club’s complaint, following precedent from an Oneida County case and stating that each individual concert did not constitute a new event that would reset the 120-day complaint clock. Any complaint of nuisance would have to be filed within 120 days of the first performance, which was in August 2014. The State Supreme Court rejected that logic. Although the State Supreme Court rejected that portion of the village’s argument, the court did not recognize the Yacht Club’s claim either. Despite the affirmation that each individual event can trigger a new potential nuisance, the Yacht Club still failed to meet the 120-day deadline for its complaint: The written notice of injury that it sent to the village on March 7, 2016, cited a concert that took place on Sept. 1, 2015, which exceeded the 120-day limit. Because the complaint specifically cites the performance on Sept. 1, 2015, subsequent performances at the pavilion cannot be rolled into this lawsuit. The Supreme Court sent the case back to the Circuit Court to reconsider, adding the directive that each individual concert can constitute a new nuisance. Lienau added that since the Yacht Club filed its first complaint in 2016, the village has tried to improve problems of noise at the site, from cutting back the hours to sound monitoring. “We continue to try to work with the community and try to be a good neighbor,” Lienau said. Although the State Supreme Court’s action will keep the Yacht Club’s case open for now, the circuit court can probably still dismiss the complaint on the grounds that the March 7, 2016, notice of injury exceeded the 120-day limit. But under the State Supreme Court’s decision, the Yacht Club or another party can file a new complaint within 120 days of a future concert held at the waterfront pavilion. The village has already received additional notices of injury related to concerts at the pavilion since 2016, including one lawsuit that is currently scheduled to go to trial June 18.